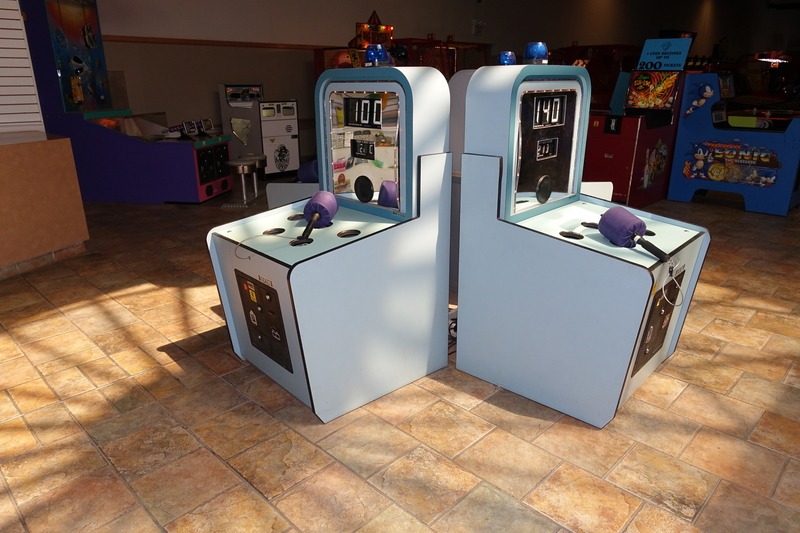 Recently I had a chance to check out the King Waldorf’s Palace arcade at Marineland, in Niagara Falls Ontario Canada. 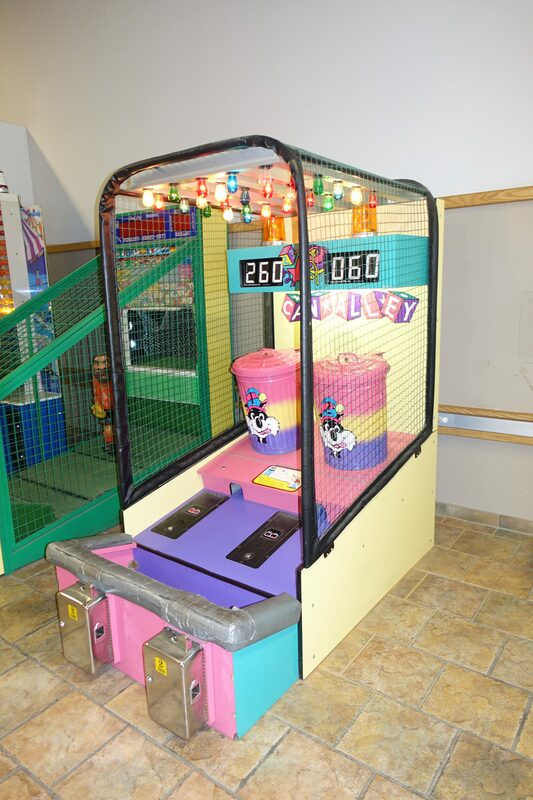 This arcade is within the theme park, so you will have to pay theme park admission in order to access the arcade. 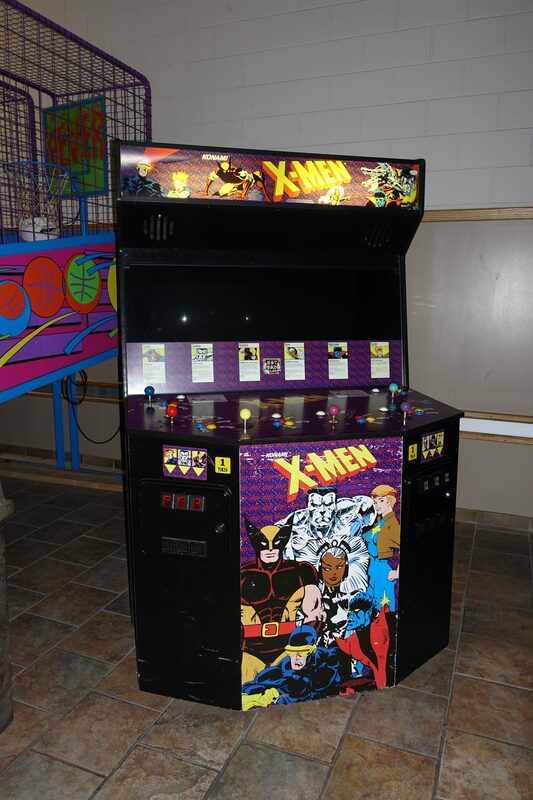 The arcade is located near the front entrance of the park. The park is open seasonally May through October. Check the park’s website for more information on operating schedule and admission rates. This is a very large arcade with a lot of games. It is like stepping into a time warp back to the 1990’s (this is a good thing). There were only 3 games newer than the 90’s that I could find in there, and those were Spongebob Jellyfishin, Raptor Captor and ATV Track. 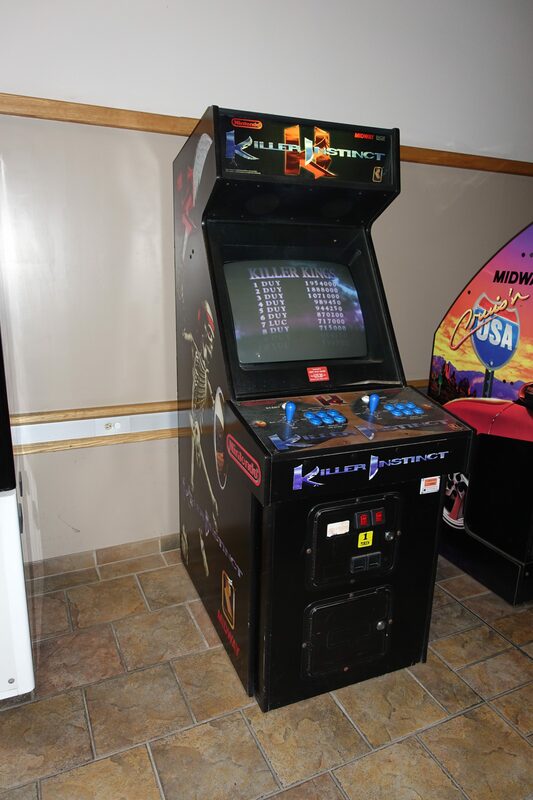 This arcade has a lot of large simulator cabinets, fighting games, and ton of older redemption games from the 1990’s that you just don’t see anymore in most conventional arcades. 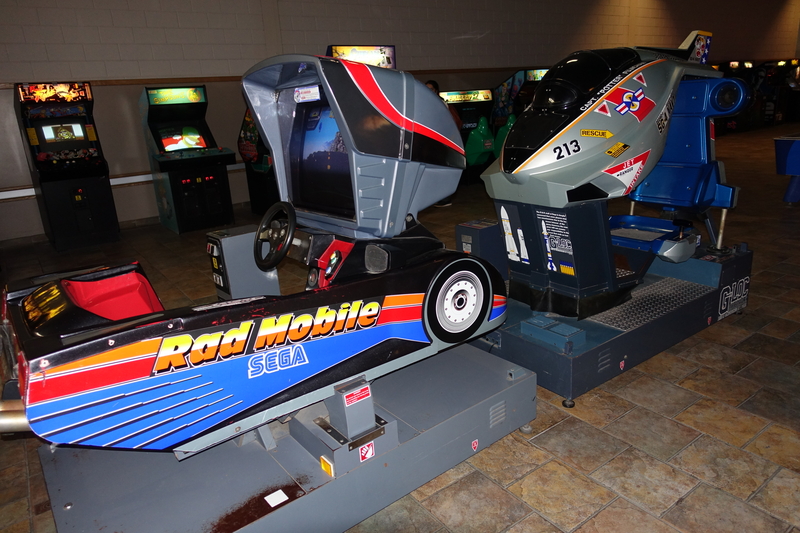 By far this arcade’s best game is the large Sega Indy 500/Virtua Formula (Sega, 1992). 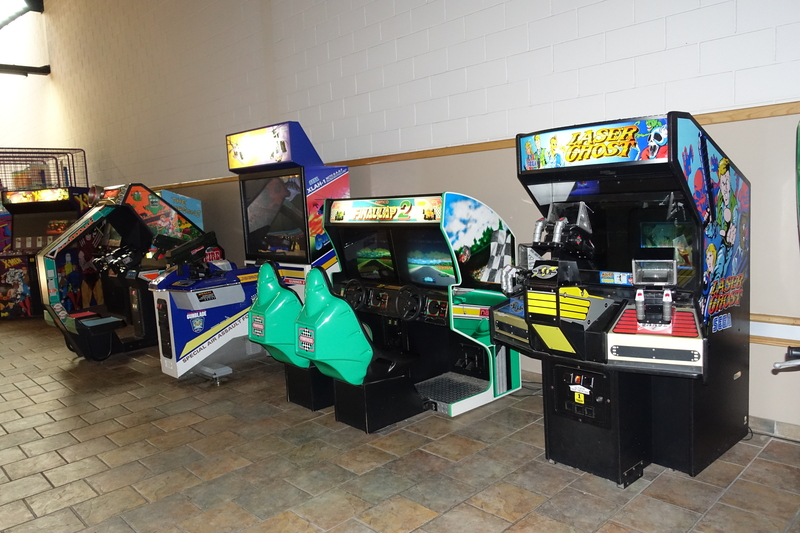 This is the cabinet with the giant cars, originally called Virtua Formula. One can only imagine the engineering and the upkeep that this game requires. This is a very impressive machine to still be running today! 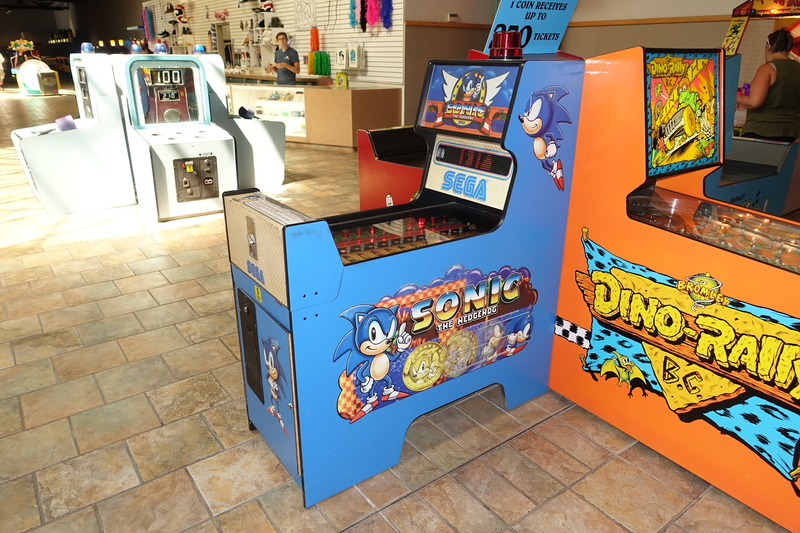 These cabinets originally ran the Virtua Formula game, which is almost identical to the Sega game Virtua Racing. The Indy 500 (Sega, 1994) is upgraded software for the cabinet. I did ask the staff if this game was ever Virtua Formula before it was converted to Indy 500, however they said it was always an Indy 500. I did find a Virtua Formula sticker on the control box, so this suggests it was converted from Virtua Formula before it arrived at Marineland. 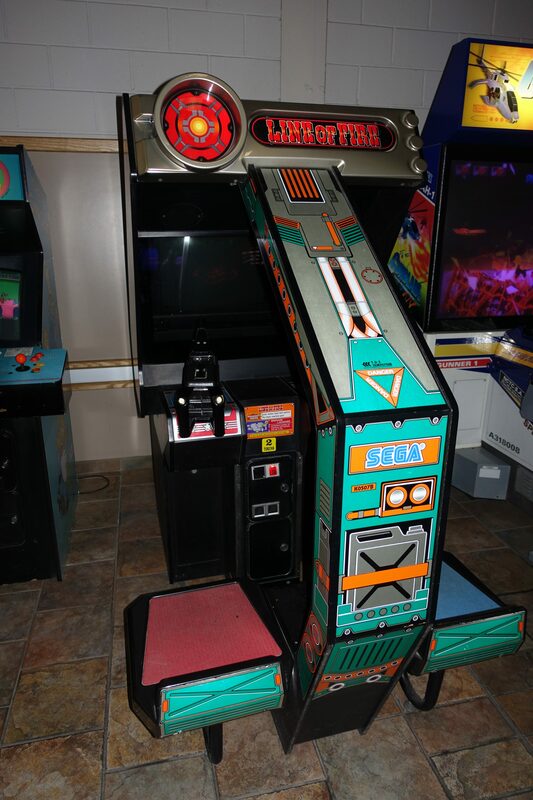 Another notable game here is Sega’s Laser Ghost (1989), which is one you do not see too often in a public arcade. This is the first time I have ever seen it. 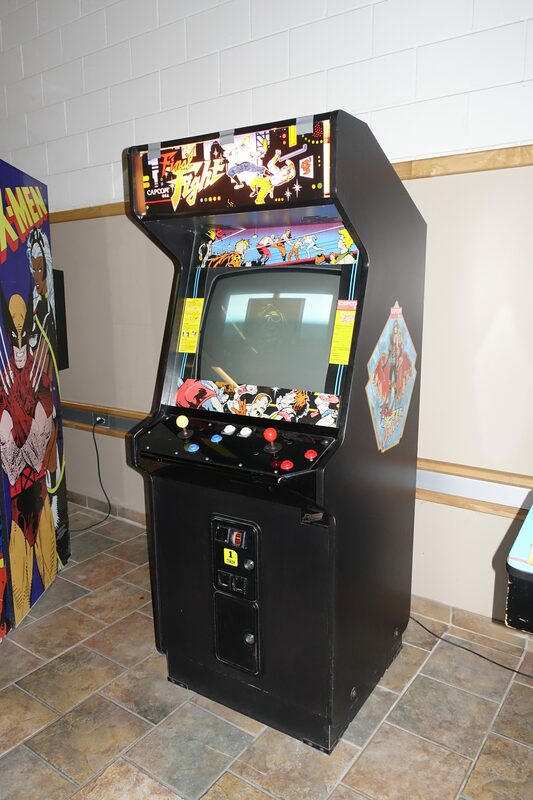 Here it sits along with Namco’s Final Lap 2 (1991) and Gunblade NY (1996). Which brings us to Sega’s Line of Fire (1989), again one I do not see often, I have only seen this game one other time in my life. Sega’s Virtua Fighter 2 (1994) and Virtua Cop (1994). Ivan Stewart’s Super Off Road Racing (1989) with Track Pak also makes an appearance. Sega’s GP Rider (1990), I have never seen this game ever. 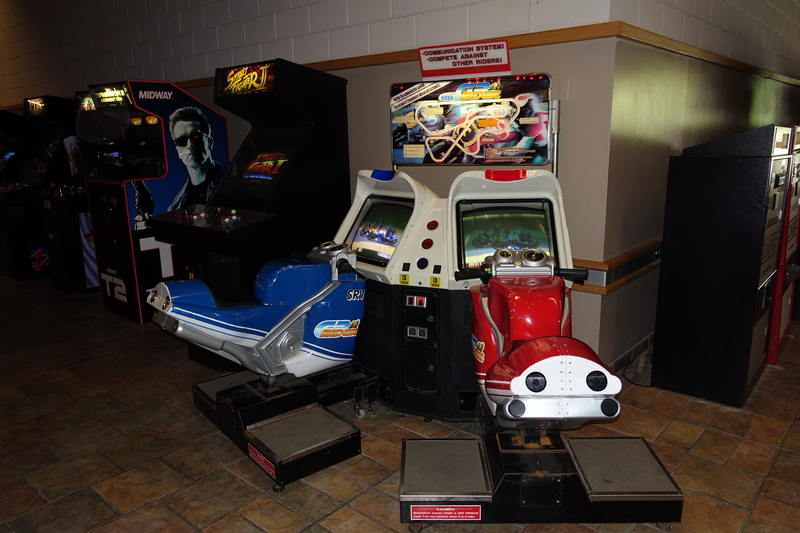 This is a cool motorcycle racing game, it is not to be missed if you are visiting this arcade. Konami’s Winding Heat (1995), again another game I have never seen until now. 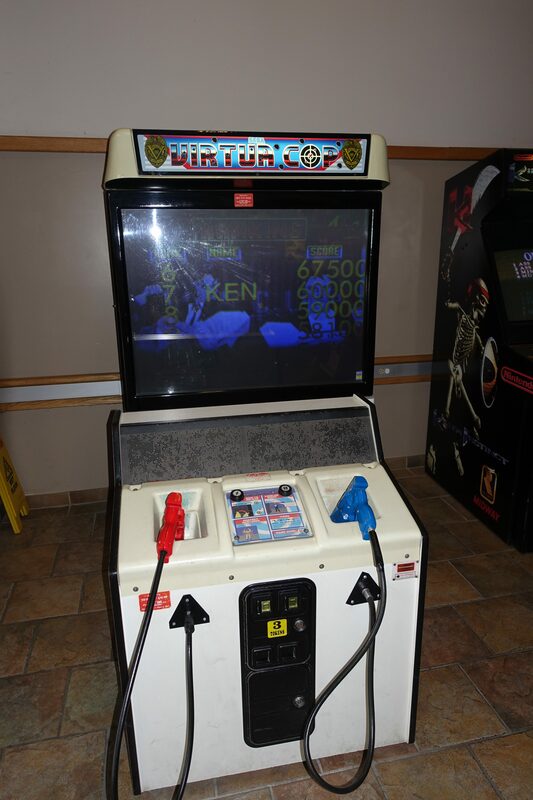 Now to the redemption side of things, this arcade is filled with a large number of redemption games from the 1990’s. The first notable game is this Sonic the Hedgehog redemption game (1993). 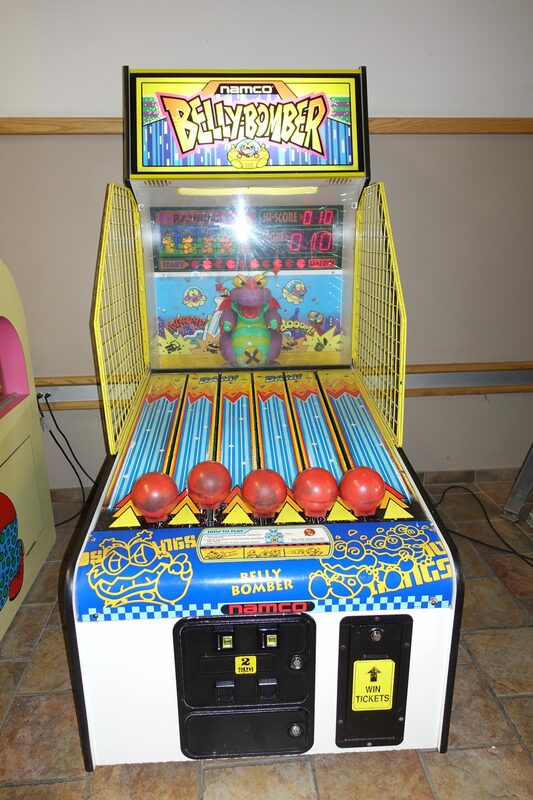 As far as I can tell this is an original Whac-A-Mole. There are many more games than what is shown here. Overall for the age of the games in this arcade I thought the games were in excellent condition, everything that I played worked. The Indy 500 worked great. Staff was on hand at all times, and I saw staff members cleaning the games. 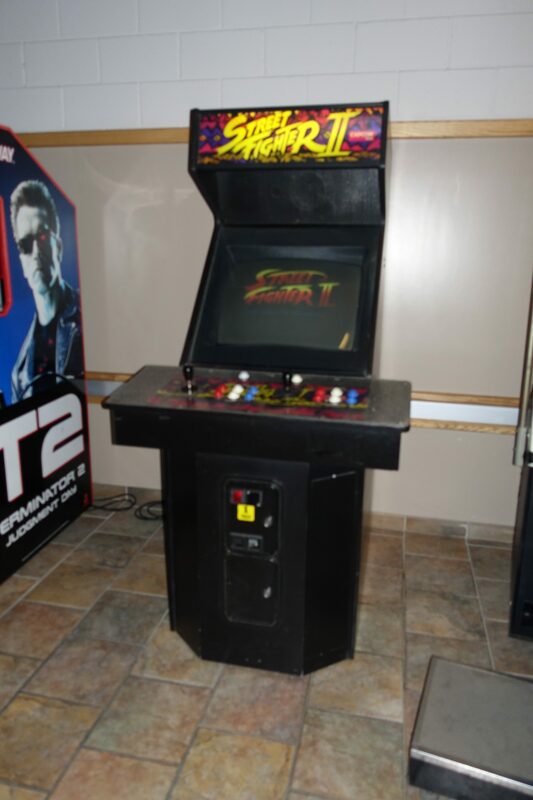 There were a few out of order games, not many for an arcade of this size and some games have monitor issues which is to be expected with older projection screens in this day and age but a lot of the monitors were in very good condition. My name is Sara and I am a big fan of Sega games like the R360, After Burner and Galaxy Force. 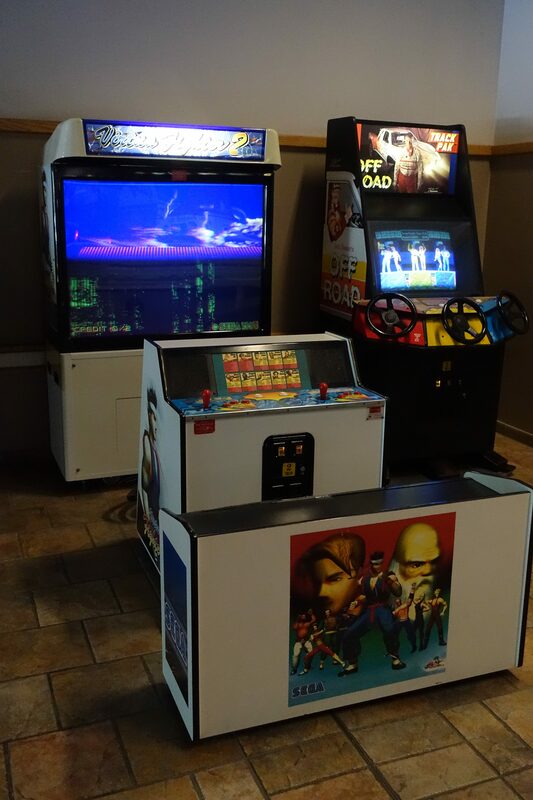 I have been interested in arcade games for about 15 years now and I enjoy playing both arcade games and home console games. I also enjoy collecting home console games. They NEED to share the info on how they keep all those rear projection (and CRT) units working! Not one LCD conversion. I loose a screen about every 2 months at my side job that just really crap the bed. Do they have a Canadian Bob “Hoser” Roberts?!?! Tokyo Visited, But Not By Me!